RestoringMarriages.com is a Christian counseling ministry located in Raleigh, NC and an extension of Christian Counseling Associates of Raleigh. We try to scholarship some of our marriage and individual therapy and Marriage Intensives for full-time Christian workers and others in special situations. The ministry is funded exclusively as donations are available. All donations are receipted and tax-deductible. The ministry is led by Dr. Mike Garrett DMin, PhD, LPC and Rhonda Garrett MA, LPCA who specialize in caring professional therapy from and integrated Christian perspective. Mission Statement: Repairing, restoring and rebuilding marriages and individuals for Christ. Vision Statement: RestoringMarriages.com exists to impact the world for Christ by counseling marriages and families from a Christian world view and by providing subsidized Christian counseling for those in need. 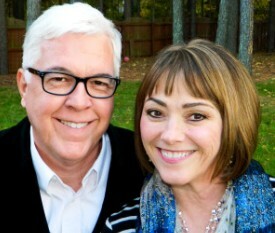 RestoringMarriages.com is the non-profit arm of Christian Counseling Associates of Raleigh, PLLC. Strategy: The primary counseling focus is toward full time Christian workers and leaders and secondly toward any Christian marriage that needs financial assistance with our counseling. Special consideration is given to Pastors, Missionaries, Church leaders, Para-church leaders, Seminary Professors and students, Christian school teachers, and the unemployed and underemployed. We offer subsidies to our therapists so they can more effectively achieve the goals and objectives of our relationally-focused counseling ministry. We are funded solely by gifts and grants from individual donors, churches and other entities supportive of our vision. All financial gifts are receipted as tax-deductible contributions. Appointments: Call our office at 919-260-5830. Special request must be made to “RestoringMarriages.com” for subsidized benevolence counseling. Each couple requesting consideration under this ministry will be asked to complete a brief “RestoringMarriages.com Counseling Request” form to be returned to our office prior to approval or scheduling. • To expand our territory of ministry to a national and international level in order to reach many more Christian couples who are in need of marriage repair and rebuilding. • To demonstrate a spirit of appreciation and thankfulness to those individuals or groups who contribute to this ministry. All gifts will be receipted as tax-deductible contributions. 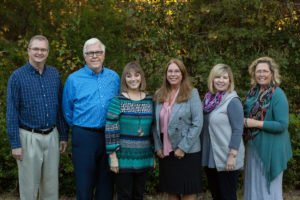 Donations to this ministry will enable Dr. Mike & Rhonda Garrett to provide subsidized Christian counseling to full-time Christian workers and leaders and other couples in special hardship situations. To make your tax-deductible contribution to RestoringMarriages.com, simply click on our blue & green logo to the left of this sentence.